Advancements in science often bring with them technologies and methodologies that were unthought-of beforehand. Here are 7 mind-bending applications of this new, emergent, scientific revolution. With the ability to harness even a small amount of energy from the vacuum (by understanding the universal spin mechanics of the proton and applying that knowledge to engineering), we have the potential to resolve the global energy crisis in one fell swoop. Utilizing this new energy source gives us the ability to render combustion technology obsolete. Meaning, no more burning coal and oil to harness energy. While at the same time, we will open the door to a new era of galactic space exploration far beyond the capabilities of rocketry (another form of combustion technology). Currently, with TESLA developing the Solar Roof, Powerwall, and three types of electric vehicles, we are well on our way to a clean, sustainable energy future. However, solar electricity and electric transportation do not expand our reach out into the stars the way the scientific revolution can. Many of the environmental issues stem from our current, outdated, even “Jurassic” energy technology and infrastructure. I use the word Jurassic because coal and oil are literally from the Jurassic period – hence the term fossil fuels. Old sunlight that was captured by plants and then stockpiled for millions of years turned out to be an energy-rich resource we call coal and oil. However, there is a limited amount of this energy source in the ground, and yet, we are burning it with no regrets. We need a rapid scientific revolution with one giant leap forward technologically if we are to break this habit and clean up our planet’s environment. The good news, this time has arrived! Another big cause of environmental crises is our inability to implement universal recycling. Yes, our society currently recycles, and this trend is increasing. However, with the energy cost of recycling everything we discard, it just doesn’t make sense financially. In other words, it is often more cost-effective to make products with new materials than to make products with recycled ones. Once we understand universal spin mechanics to harness abundant clean energy day and night, we will have the ability to recycle all discarded materials in a cost-effective way. This scientific revolution means a new era of universal recycling – there is no such thing as garbage. ENERGY is at the very foundation of our economy. Without ENERGY, we cannot manufacture anything. Without ENERGY, we cannot transport goods and materials. Without ENERGY, our modern society will become a thing of the past. Energy is fundamental to the economy but our current energy infrastructure creates instability and vulnerability in many ways. Opening the door to abundant clean energy technology via scientific revolution, we will be given the opportunity to build an economy around an energy source harmonious with the laws and mechanics of nature. One of the grandest implications of this scientific revolution is our potential to understand and control gravitational fields for transportation. To put this into perspective, 200 years ago there was the unification of electricity with magnetism, creating the field of electromagnetism, and thus our modern electronic world came to be. If we told laymen in the 19th century about cell phones and satellites, they would probably not believe or they would find it difficult even to imagine such devices. Similarly, the next unification in physics involves a new understanding of gravity and the possibility of controlling this force. With the ability to harness and control gravitational and magnetic fields, as well as abundant clean energy throughout the entire galaxy, we open the door to spaceship technology capable of sailing the open sky like a sailboat, boundless in our quest for discovery and adventure. Currently, we use rockets (or combustions technology) to travel into outer space. However, rockets are very limited in their range and capability because we can only bring a limited amount of fuel to burn. Uncovering “universal spin mechanics” gives us access to a new energy source throughout the entire universe. One might be thinking, “I don’t want to live in space, I would be so lonely and disconnected.” Based on the way we look at the universe now, this may be true. 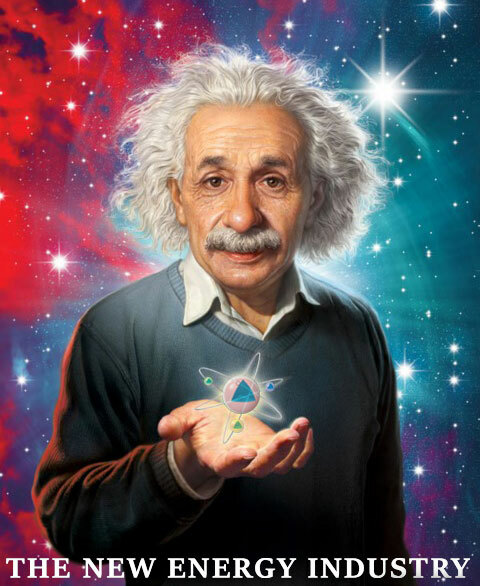 The crux of this scientific revolution is overturning the “isolated system fallacy.” To paraphrase the physicist N. Haramein, let’s ask ourselves, what is the only thing in the universe that connects all things? Can you point to one thing that connects everything in the universe? To answer this question, you must point to the empty space that is between all things. “Empty space” is between all galaxies and planets and between all protons and electrons. It’s between you and me, it’s between everything. The cool thing is that this empty space is by no means empty at all. In fact, it’s full of energy! Also called “the vacuum” referring to vacuumed area of empty space where there are no particles of matter, this empty space is not empty, rather it is completely full of energy. This omnipresent energy unites us all far beyond any possible distance scale. In fact, we are all connected, everything is connected in the entire universe, always. Question: What are your views on this scientific revolution? Can you imagine the world shaped by the epic benefits this revolution can bring about? Please share this article and leave an interesting comment below: Previous article: 3 Critical Facts for a Scientific Revolution. I am not interested in blowing smoke. What I am interested in knowing is who is doing theoretical and/or technology development, and what they are doing, or at least references to what they are doing, as well as whether it is open source. I agree, blowing smoke is for stoners. However, not everyone is as smart as you. Meaning, not everyone will understand the ramifications of such a leap forward in technological advancement. The term “scientific revolution” means nothing to many folks; thus, this article is meant as a pipe dream to paint the picture of what the future could/should entail. I’m a true beleiver in what’s posted above. The only thing, which dishearten me is the suppression of already invented technologies. How long should 99% of humanity need to suffer because of greed and fear? It seems our spirituality needs a kickstart. Ancient stuff is interesting too. Specialhead is real. I talked with him once while he was waiting for a mechanic to finish some work. He tries to share his knowledge. I think he would be able to do it if a person or child with the computational capability to mice concepts and ideas about to a conclusion were to contact him. Also Keith Barry is real. He does use another’s anatomical vision to drive a car. I imagine a sincere and computational capabilitied person could get the ‘how to’ from him. Grebennikov, deceased, was real, his neighbor, about six miles away, saw his flying platform in use. Why he didn’t leave the platform for others nor identify the bugs was probably to shield the bugs and other bugs to be mistaken for them, from insane wing case harvesting. It is hard to get the wheel in use. It is hard to get fire in use. You would probably fail trying to get others to use these unbelieveable invention, discovery, idea. I know firsthand. It is hard.